When you first fall in love, you just love to spend time together. It was not so much about what you do, it was more about being together as long as you could. Because it felt good. It was all about feelings. Most of the times you have immersed with feelings of love and your mind was busy with the excitement of novelty. As time passed, the mind gets bored, because the excitement of novelty disappears. That’s where the mind takes control of your feelings of love. The voice in your head starts telling you how your relationship supposed to look like, be like. Now you are not free anymore to just enjoy feelings of love. Your mind is boring and start to protect you. Protect you with comparing your relationship with an ideal picture that your mind has about the relationship. You start thinking more and feeling loveless. That is the real reason, why you don’t enjoy just being with each other anymore. We need to be compatible. We need to have similar views on life. The important part of my life is spirituality. I believe in past lifes and deep connection with everything beyond the material world. What would be the point of living this life, if everything that I discover and learn and experience gets wasted at the end of my life because there is no reincarnation? I believe that every experience and skill that I develop will go on with me into the next life. What would be the point otherwise to live this life, if everything is lost when we die? He believes that this life is all we’ve got. With that in mind, he wants to experience and learn as much as he could, because that is his only life and because of that he will live fully every second of it. Do you see how different views at life actually bring us together; we both want to live our life to the fullest. It brings us out of our comfort zone, that for sure. He like rock climbing, I love mountain biking. I tried rock climbing and have to say that I never regret that I tried it. I have to admit that I did not enjoy long hiking approach to the rock walls, I hated when the weather was bad and my hands were so cold and numb that I couldn’t grip the rock. But it did bring something new into my life. It did show me that my limits are all in my head and that I am capable much more than I used to believe. that we have one thing in common, the most important thing. The compassionate nature, his warm open heart was something that connects with the soft place inside my heart. 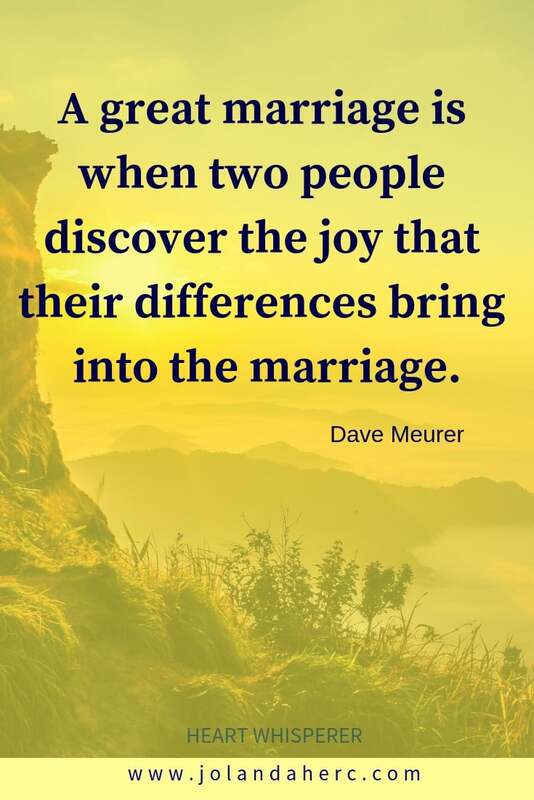 The emotional connection we have is more significant than any shared interest. One of the things which I enjoy is to listen to his excitement while he tells me about his latest adventure. We don’t need to like the same things, but he needs to respect what I enjoy, show some type of enthusiasm and support as I do with his interests and hobbies. Is doing everything together with your partner a sign of love? 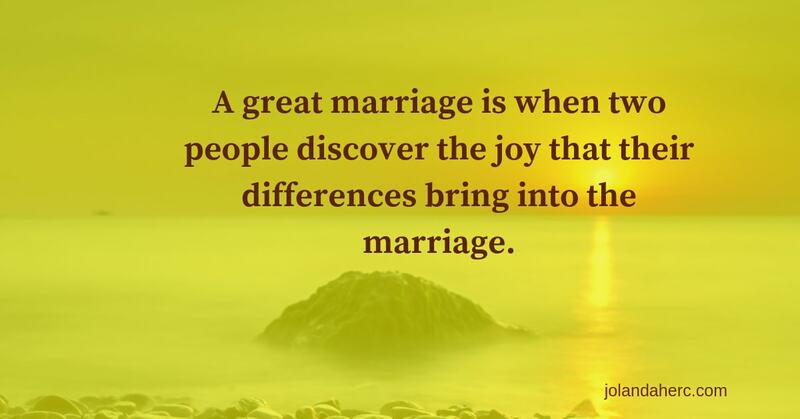 How many lifeless marriages existing where couples are constantly together and love spark is long gone? Could that be proof that just doing things together will not give you the love you desire? Relationship start and end with feelings of love, that came from the heart. Take the feelings and heart out of a love relationship and you are left with a business contract. With rules to succeed and with balanced checkbook about giving and receiving. You are suddenly in a relationship where you start to count how much you give and how much you get and try to achieve balance. Taking track of what you contributed to the relationship and worrying that she (or he) will not take advantage of you. What love has to do with how many hours and how many activities you spend together? Love is like an ocean. How could the ocean give and receive? It is an ocean, water circling in and out. Getting caught into the give and take and taking scores and points – is it really worth it? How much time do we need to spend together? Are you counting hours that you spent together and hours that you spent apart and compare them with the numbers that are stored in your mind under the rules of ideal relationship? My mind used to count that kind of stuff and make imaginary excel spreadsheets in my head with sums and dates. Now I take care of my mathematician mind with helping my kid with math. The more you’re making mental notes about scores and points and balance give and take, the more you block the flow of love. You are moving out of your heart into your mind. There is nothing wrong with your mind. It just that mind is supposed to be a tool to make mental notes about practical, day to day stuff in your relationship. We need our mind to decide in which store to go when we run out of detergent or need to buy food or new dining table and pillow and light bulb. To take care of the car and organize vacations and trips on the day of, take care of the time when we need to meet. You start thinking more and feeling love less. And that is what you are missing when you start to believe that you don’t have anything in common. You don’t need to spend hours every day doing the same things. Or you could and you would still be missing the feeling of love. Do you see, that is not about what you do with another person but what how you feel doing it? 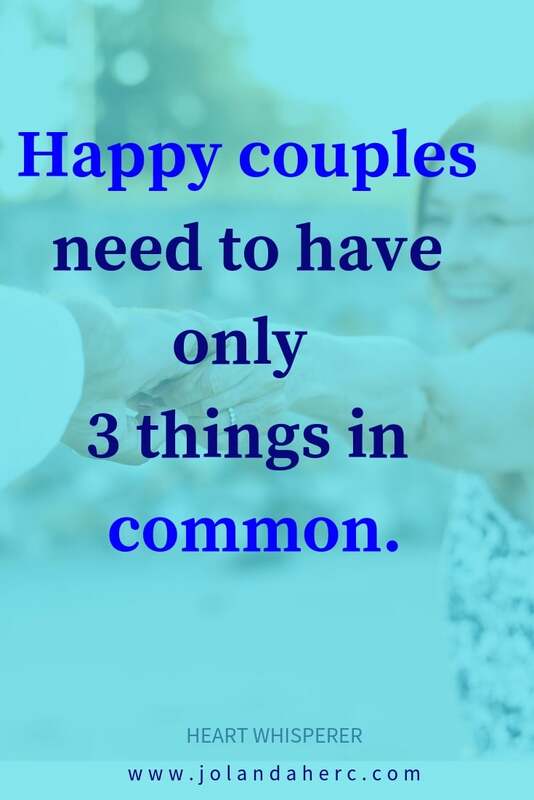 The need to have a lot in common with the partner is the myth. It is not about how many hours you two spend together, but how much love you put into that hours. The interest, hobbies are for you to enjoy and feel good and not to open up to love. You could open up to flow of love between you two even when you are not together. For love and intimacy to grow, you need to spend quality time together – is it true? What does the feeling of love have to do with running together or talking or doing yoga or meditating? Love does not require to be together all the time. If you have the need to be together all the time, this is about your mind, your fears, your safety. But the mind and need for safety will close your heart more and more. The physical closeness does not automatically open and connects your hearts. So, what about putting the whole of you with the totally open heart into the minutes that you spend together before and after activities that you do apart? Instead of just spending time together and connecting with the mind, listening with your ears and speaking with your voice. Love is about heart not just doing things together. how much love did you put into those hours that you spend with him or her? We don’t have anything in common – except LOVE. And that’s more than enough. We know that opposite attracts, yet when you need to live 24/7 with the total opposite, it took a lot of effort to be on the same page. He is a perfectionist, like to have everything in order. 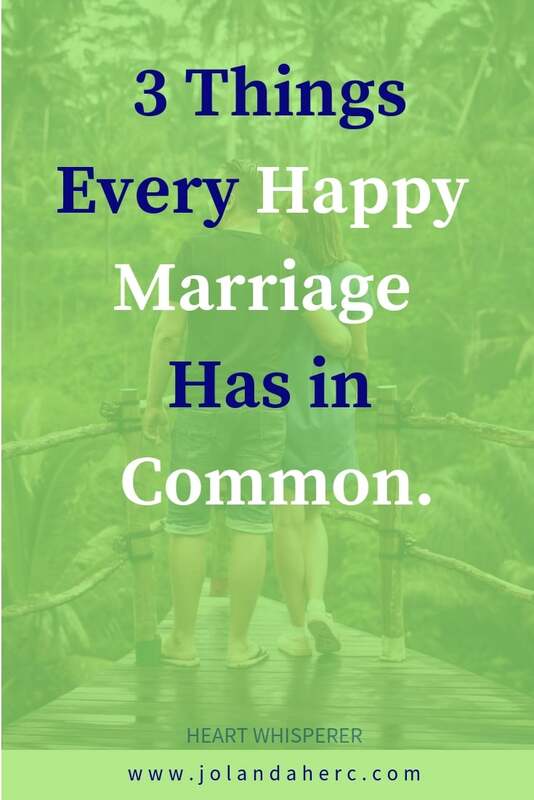 He feels like living in the chaos when his free-spirited wife constantly rearranges things at least when he complains too much that she is reckless and have no sense of order, empty coffee cup on the table in the living room, unsorted magazines everywhere. She is a free spirit, her ideas flow uncontrollably and her day to day life reflect that she feels uninspired, stiffen in the environment where every pillow on sofa need to be in the exact same place all the time. They quickly forget how they love each other when they have a really rough day in the office. And came home to relax into chaos or too much order. How to solve the unsolvable? Imagine that you two are a team of two complimentary coworkers. Your strengths compliment each other. He is perfect at organizing things so he will take care of that job. She is perfect at getting ideas and bringing new things into the job. So, he will take care that everything is in order after she arranges things according to her ideas. She will bring ideas of where to go on dates and he will take care of organizing it. They are the team, they will find ways to use each other strings and learn how to allow others to step up when there is a need. READ NEXT: How to transform your relationship alone with 8 loving actions.